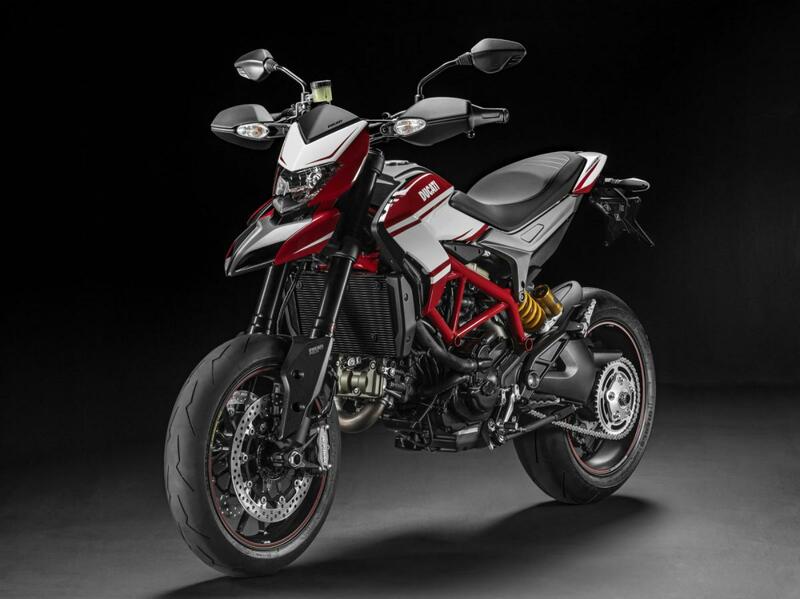 DUCATI has released a new colour scheme for the Hypermotard SP. The new look, which mimics Ducati’s own Pikes Peak 1200S Multistrada colour scheme, was unveiled for the first time by World Superbike Champions Troy Bayliss and Carlos Checa at World Ducati Week 2014. The SP features multiple riding modes with three-level ABS and eight-level traction control derived from the 1199 Panigale. The 821cc Testastretta engine puts out 110hp whilst the lack of fairing keep the dry weight down to 171kg. The Hypermotard SP with the new colour scheme will be available from dealers in September for £11,995.